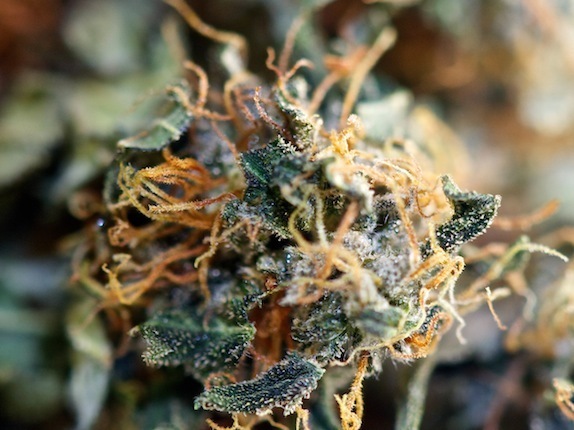 The good news is that, at least , there is a great Charlotte’s Web alternative that has begun popping up at the medical cannabis dispensaries like Harborside – the AC/DC strain. AC/DC is identical in action to Charlotte’s Web – less than 1% THC and around 20% or higher in CBD. CBD is the cannabinoid that doesn’t get you high, but is responsible for relieving seizures. But that’s not the only thing CBD does, it’s also a great pain reliever too as well as helping with spasms. Hint: For grownups it makes a great before work vape! And that is what today’s strain review is all about – using this new and novel strain to relieve pain and spasm while remaining sober! So, let’s talk about these pretty flowers. 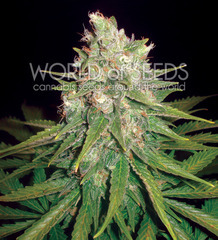 They are clearly sativa dominant; the dried buds are fluffy and elongated. They’re also heavily frosted with lots of CBD containing trichomes. The scent of this flower is like a diesel with a tiny bit of a fruity after effect. You’ll notice the strong scent of diesel when you first grind the flower. After you load it into your vape, the flavor has that typical high CBD cherry cough drop flavor with some diesel for good measure. I thought it was fab and this was my first time trying a strain with less than 1% THC. I felt no psychoactive effects and it left me stone-cold sober, but I did notice a little mood lift which was unexpected and great! I have Hashimoto thyroid disease and it’s almost always to blame for my low moods, even with thyroid meds. I also didn’t feel tired and sometimes high CBD strains that have higher amounts of THC will make me feel tired. The pain relief was pretty good too and took away a blazing headache I had while lifting my mood just a little. My arthritic hands also felt less stiff. I like this strain and I would certainly recommend it for the times that you need sober relief!